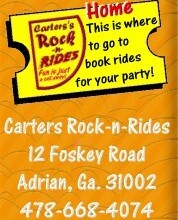 Power Jump Bungee at Carter's Rock-n-Rides....Exciting, fun rides brought to your Party or Celebration!!!!! 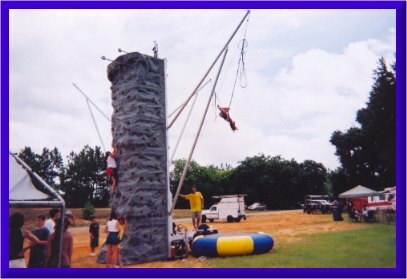 Rock Wall Appropriate for chidren and adults 40-250Ibs. Has 4 lanes (2 easy, 2 hard) Great for any event Comes with 2 operators No power needed for Rock Power Jump Appropriate for children anp adults 30-225Ibs. 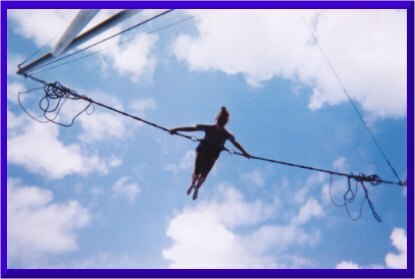 Has 2 stations to jump and flip on up to 25ft. 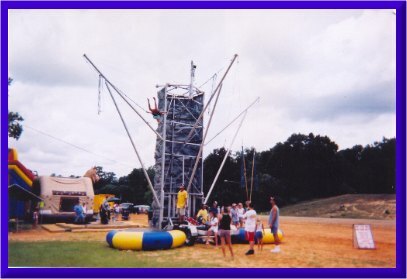 Great for any event Comes with 4 operators Requires 220volt/30amp hook-up Generator available Rock and Power Jump can be rented separately.